This petite beauty is a giant. 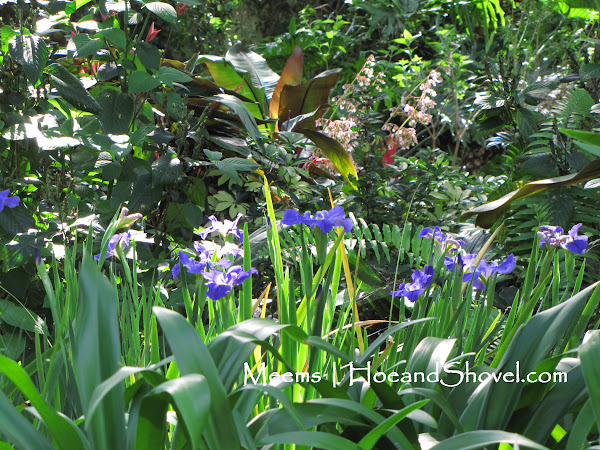 Giant Apostles' Iris Neomarica caerulea 'Regina'. Giant must refer to the height of its foliage because the small flowers are only about 2.5-3" across when fully opened. 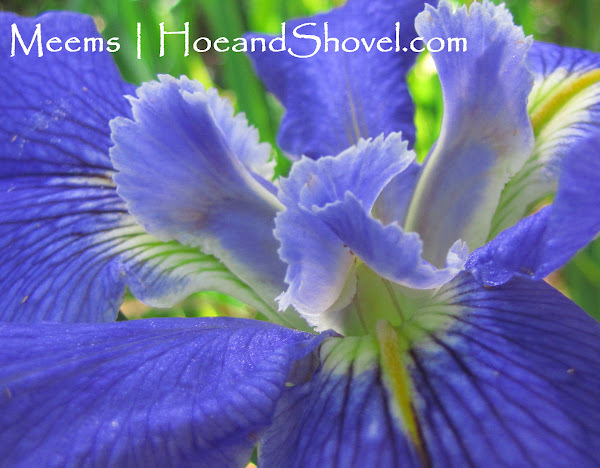 Wider than typical iris blades stand a solid 3 feet tall in vertical formation of bluish-green foliage. 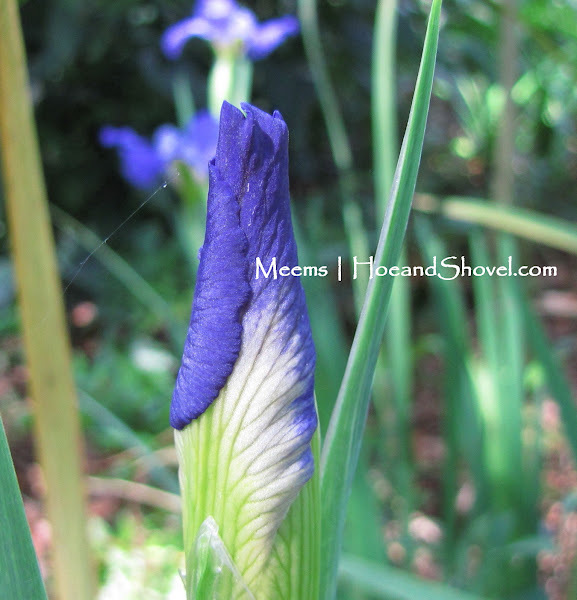 Each bud takes its time in the morning hours to unfold its way into full glory. Every curled up petal is just as stunning as the final display. 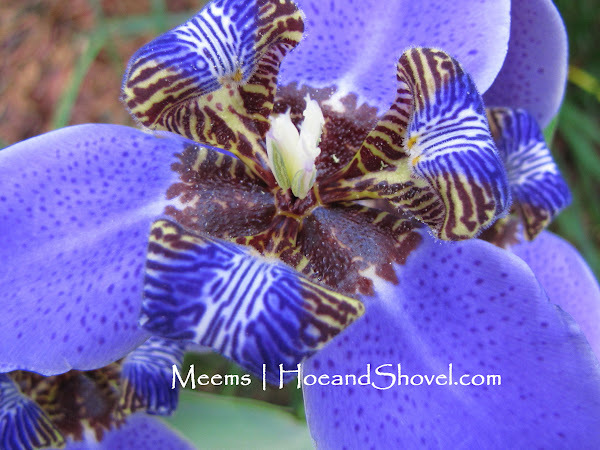 Exotic features with specks, stripes, spots, veins, depth, texture, purple-blue, brown, white, lavender will put a song in your heart along the way. Although it repeatedly blooms on the same stalk each one only lasts a day. It will 'walk' as the blade becomes heavy bending toward the ground and roots to form another plant. Mine are growing effortlessly without any special attention in filtered light. This one gets me all gushy over it so I've photographed it numerous times which you can see here for more. Neomarica caerulea 'Gracilis' is very different in stature from 'Regina' with much shorter, glossy, bright green foliage. The bloom time is similar as well as the walking habit to produce new plants. I like using this one to fill in spaces where caladiums will come up in between. That way there is something green growing in the space when the caladiums fade away. Neomarica longifolia has very different characteristics from 'Gracilis' and 'Regina'. 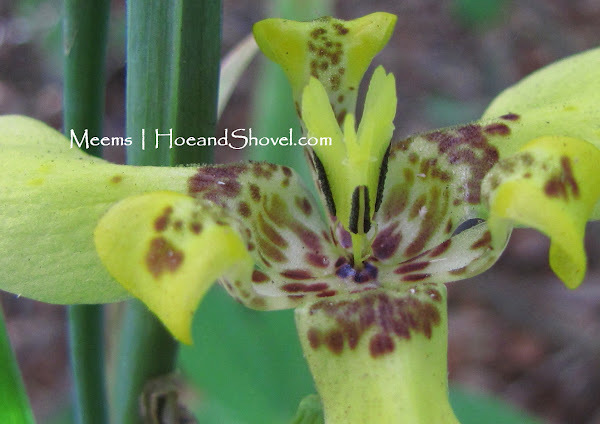 It has dull almost ripply or puckery foliage at heights of about 2' and the yellow flower is smaller. 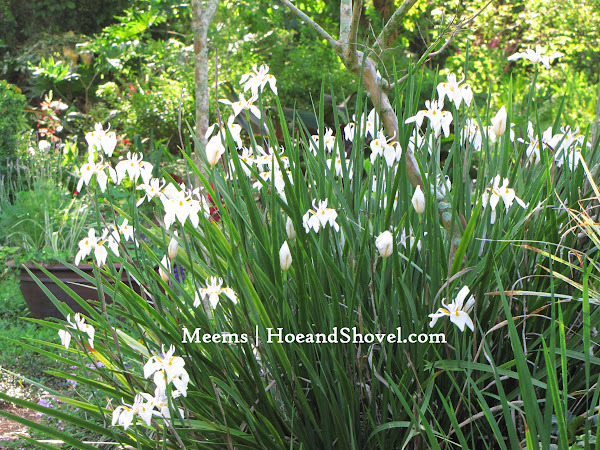 It can tolerate heavy shade and will walk to produce nice size clumps that bloom almost all year long. This is the newest one to my garden passed along to me from my sweet elderly neighbor. 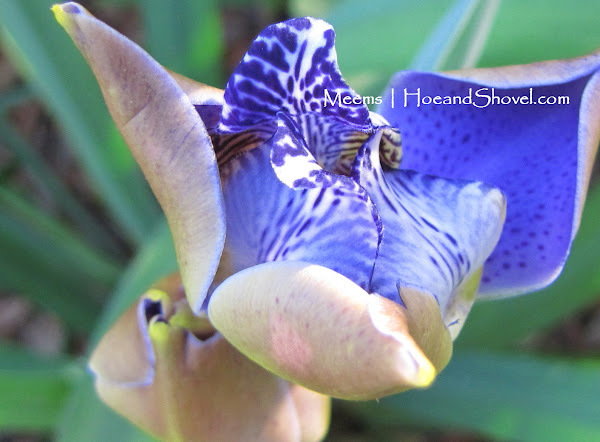 I couldn't leave out the trusty African Irises even though I recently featured them in their very own blog post which you can read here if you missed it. Love them! 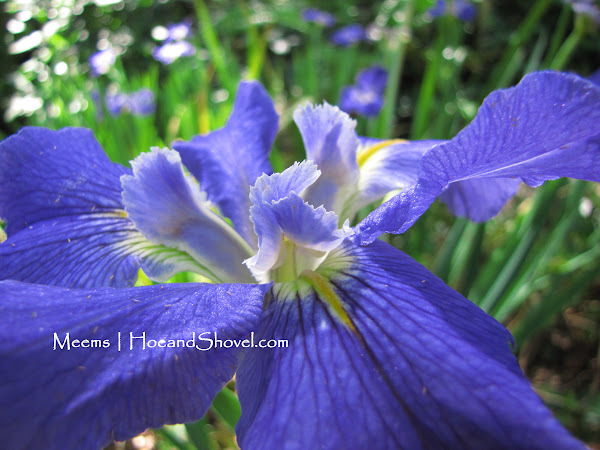 Use them in planting beds or in containers. Which iris only blooms for a couple of weeks (at best) and decided to pop out a few days early to greet the beginning of spring? 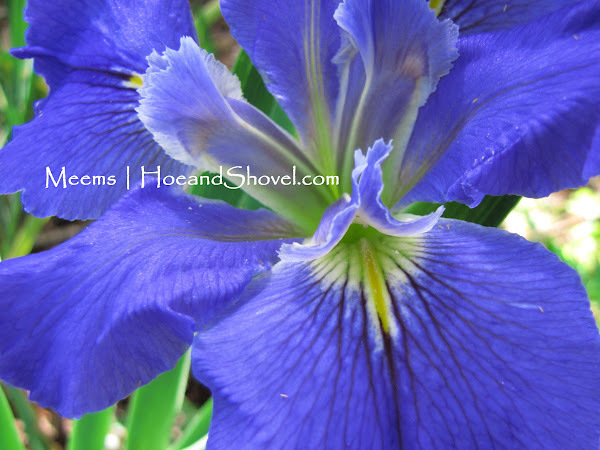 Louisiana Iris 'Sinfonietta' in all her brilliant bluish-purple array. I've gone on and on about my admiration for her short lived blooms over the years. 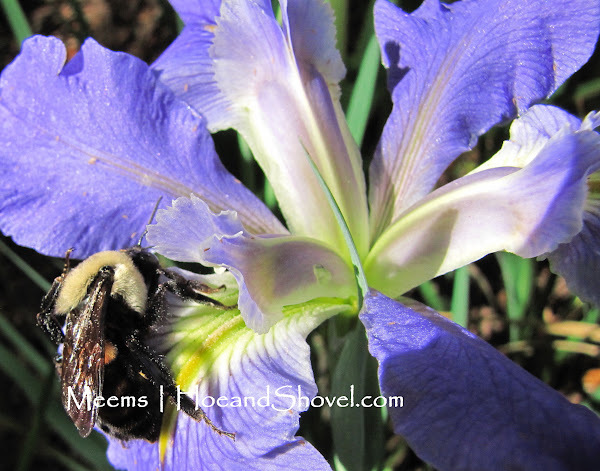 Be sure to notice the bee butts as you scroll down through the photos. The little cuties crawl in and out moving around the flower until they fly to the next. 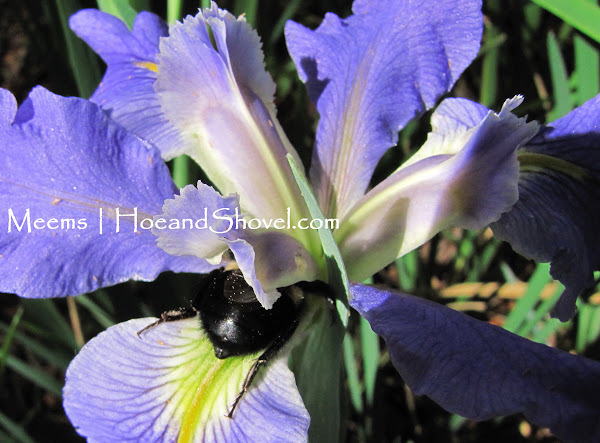 You can get all the scoop on her here and read what I've written in past posts if you'd like more growing information on Louisiana Iris. 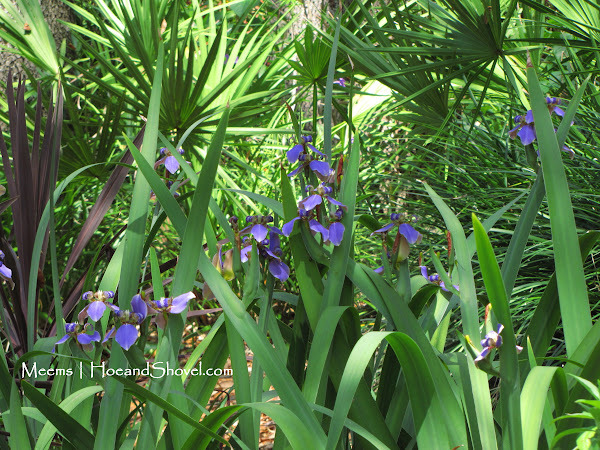 Which irises are you growing in Florida? Or wherever you are? What gorgeous purple blooms. 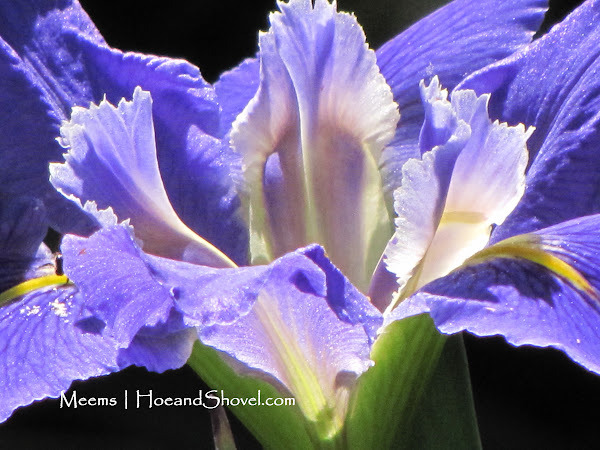 I always thought irises were fussy, but I see they take very little care in filtered light. Definitely something to consider if our next house actually has any filtered light! Thanks for teaching me something new today. What gorgeous purple blue blooms. I love the first iris. I cannot wait until mine blooms. So pretty and what a wonderful punch of blue! 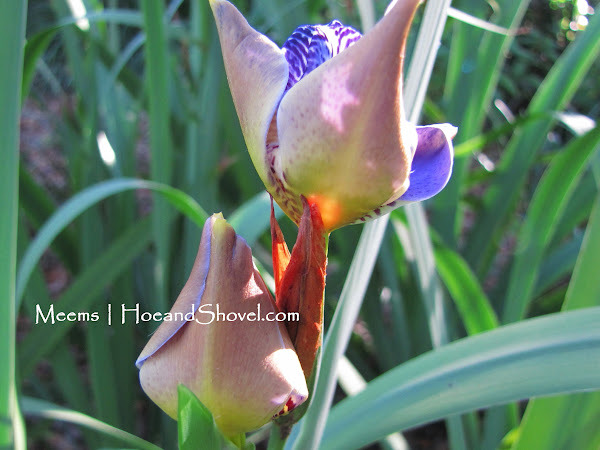 I had a couple Spanish Irises bloom, but they aren't as pretty as yours. Beautiful Irises. I need to relocate my Walking Iris, it has walked around too much. Oh my gosh, I love that first iris. They are all wonderful but that one grabs me. I have the African iris and the yellow walker. Seeing their blooms makes me happy. I always love visiting you because you are a FL gardener with so much going on in your lovely gardens. You are an inspiration to me. 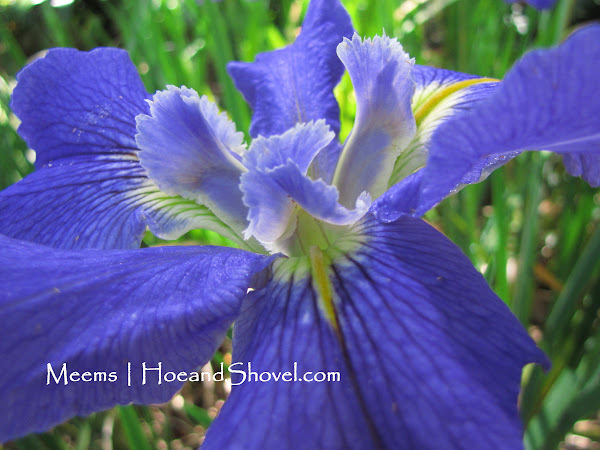 Great photos of your Louisiana iris. They are beauties...wish they would bloom a couple times of year. I really like your soft yellow iris. Do you know the common name? It's very pretty! so many exotic looking iris and some very familiar to me! Oh my! 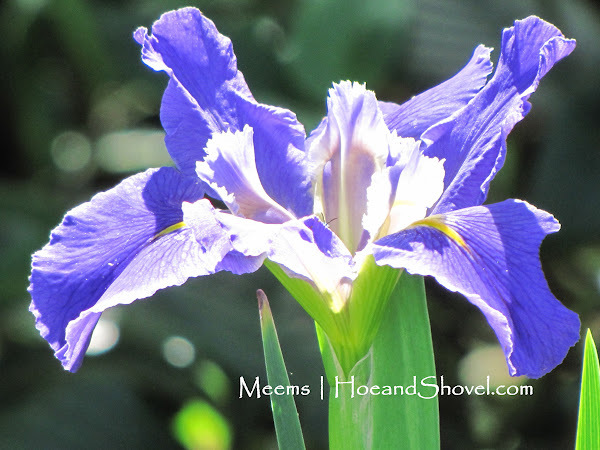 That Louisiana Iris is just beautiful. Having them massed like that really shows them off. The fact that they only bloom for a short time makes them all the more special. 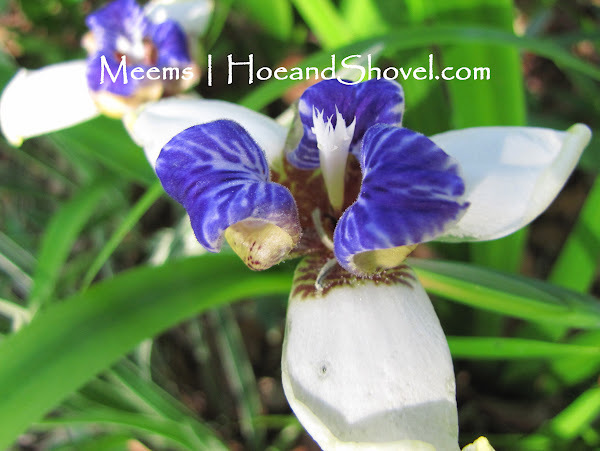 I have many of the purple/white walking iris and a different yellow one. They are so easy care and just keep filling in the blank spaces around here. 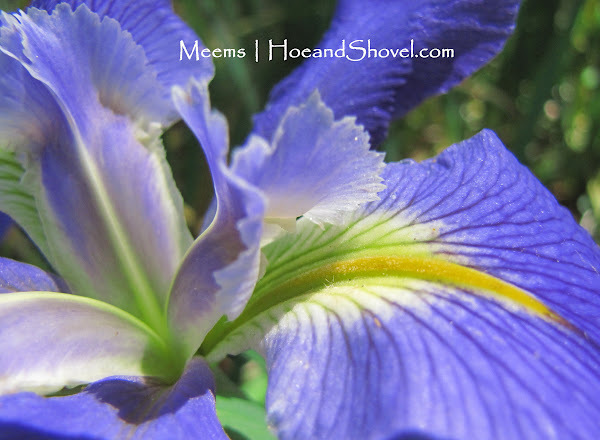 Yes Meems, those iris are especially noteworthy! 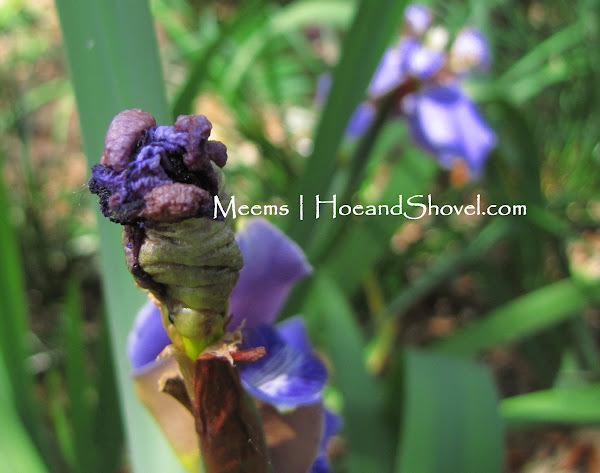 I can hardly wait for my bearded iris to arrive. 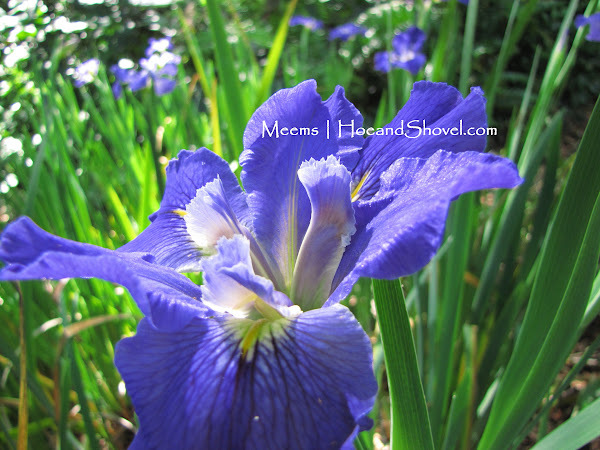 I have totally gotten into the irises! Our Florida varieties seem to do well in all kinds of conditions, tolerate drought and freeze pretty well, and have such beautiful blooms! 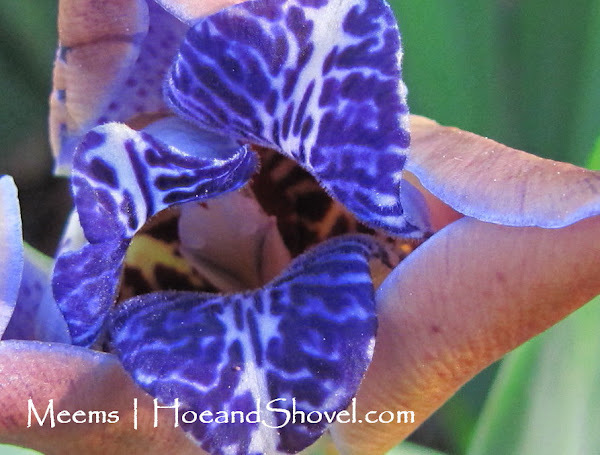 The only one I have problems with (which no one else seems to share) is the non-walking African iris. Such a beautiful, orchid-like bloom -- WHEN it decides to deliver. I've always wanted to try other irises, thanks for the tips and pics! There will be some at the new place, for sure.